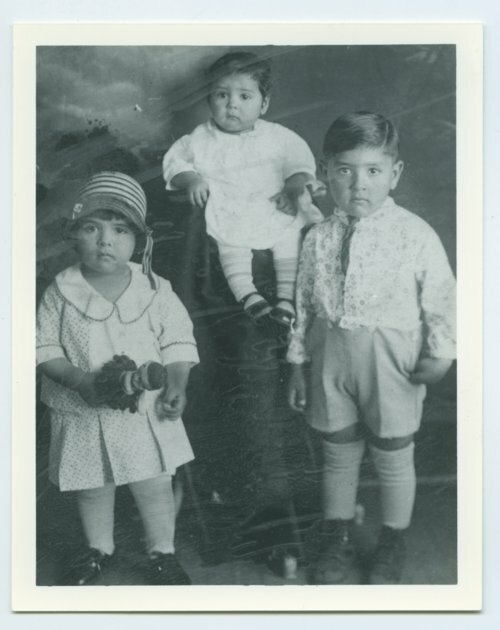 This is a photograph of Vera Ramos, Beatrice Ramos, and Benny Ramos, the children of Santiago and Delphina (Romero) Ramos, in Topeka, Kansas. Beatrice was born in 1929, and Kansas Memory nos. 89849 and 89850 are also from the Ramos family.